Meet at Clay House, West Vale on Wednesday 16 November at 10am for a community clean up lasting approximately 4 hours. All welcome, gloves and litter pickers will be provided. For further information contact the Neighbourhood Team on 01422 288016. This entry was posted in Get Involved / Have Your Say, Greetland & Stainland, Nov and tagged calderdale, Clay House, clean-up, Get Involved, Greetland, November, West Vale. 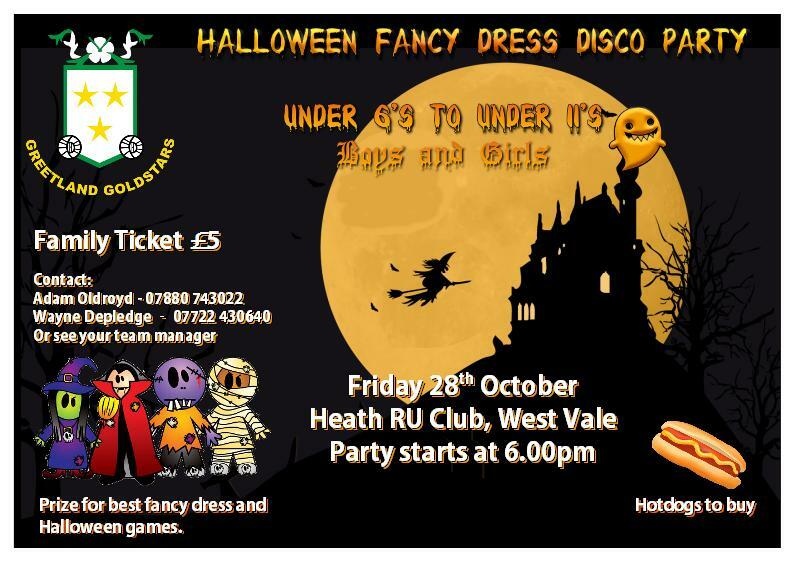 Enjoy spooky family fun at the 2016 Greetland Goldstars Halloween Fancy Dress Disco Party for under 6’s to under 11’s with halloween games and a prize for best fancy dress. This entry was posted in Get Involved / Have Your Say, Greetland & Stainland, Oct and tagged Disco, Event, Family Activity, Fancy Dress, Greetland, Halloween, Heath RUFC, October, Young People. 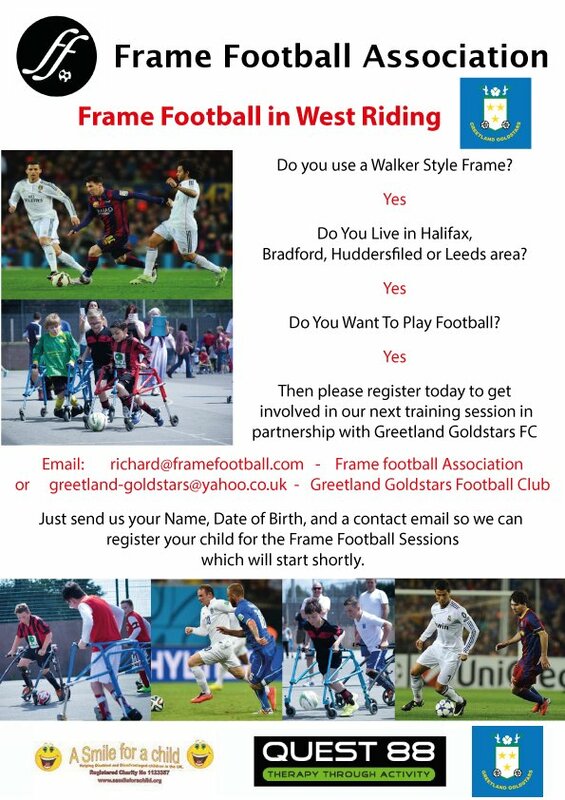 Do you use a walker style frame and enjoy playing football? If so then register today to get involved in the next training session in partnership with Greetland Goldstars FC. Just send your Name, Date of Birth and a contact email to one of the following contacts so your child can be registered. This entry was posted in Get Involved / Have Your Say, Greetland & Stainland and tagged calderdale, Football, Frame Football, Frame Football Association, Get Involved, Greetland, Greetland Goldstars JFC, Sports, Young People. 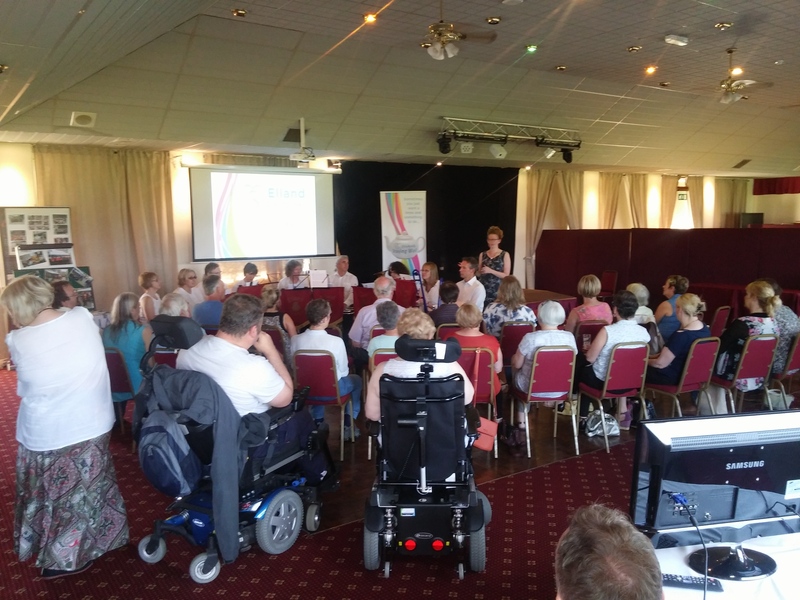 On Wednesday 20 July the Elland Staying Well Hub held an event to celebrate the achievements of the project in Elland, Stainland and Greetland so far. 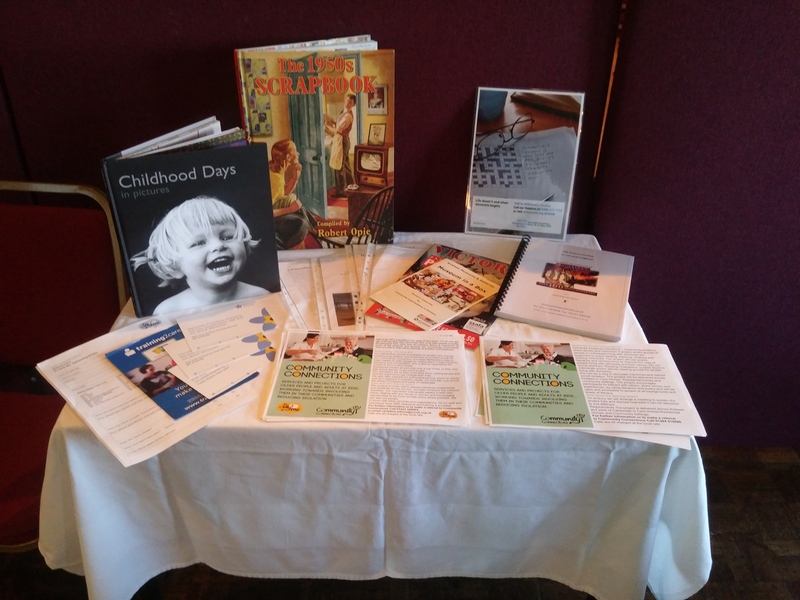 Local community groups and organisations were invited along to Elland Cricket Athletic & Bowling Club to showcase their work in these areas. Those attending included Elland & District Partnership, Chit Chat Group, Bethesda Church, Cartwheel, Yorkshire Community Connections, Let’s Just Do It, CREW and Bluebird Care. The Adult Brass class who received funding from the project, kicked off proceedings by playing three pieces for the attendees conducted by Sam Harrison. Elland Staying Well Worker, Rachel Swaby then highlighted the work in the community over the last 18 months and how, through anecdotal evidence and statistical analysis, the Staying Well project has achieved the goals set out at its inception, which were to reduce loneliness and isolation in older people and create more connected communities. A film titled ‘Real Stories’ was shown and gave a particularly touching recount of how the Staying Well project has helped 3 local residents when they needed it most, and was followed by an impromptu ‘Thank you’ speech to Rachel from a 96 year old member of the audience, who is also a member of several of the community groups that were present. This entry was posted in Elland, Get Involved / Have Your Say, Greetland & Stainland, July and tagged calderdale, Celebration, Elland, Elland Cricket Athletic & Bowling Club, Get Involved, Greetland, july, Lower Valley, News, Stainland, Staying Well, Update. This entry was posted in Get Involved / Have Your Say, Greetland & Stainland, July, June and tagged Courses, February, Get Involved, Greetland, Greetland Academy, july, June, Latin Dancing, Ukulele. Over one million dogs have not yet been microchipped, more than one in eight dogs out of the UK’s estimated canine population, the Department for Environment, Food and Rural Affairs (Defra) said. From Wednesday 6 April, dog owners MUST make sure their pet is fitted with a microchip by the time it is eight weeks old, or face a fine of up to £500. If a dog becomes lost or gets stolen and is picked up by a local authority or a shelter, the microchip can be scanned and matched to contact details stored on a database. Charities such as the Dogs Trust, some local councils and some vets will microchip dogs for free. Pets at Home also have an offer on microchipping your dog for just £10 until Friday 15 April 2016 (subject to availability). This entry was posted in Apr, Brighouse, Elland, Get Involved / Have Your Say, Greetland & Stainland, Hipperholme & Lightcliffe, Rastrick and tagged calderdale, Calderdale Council, Dogs, Dogs Trust, Elland, Get Involved, Greetland, Hipperholme, Law, Microchip, Pet Care, Pets at Home, Rastrick, Stainland. This entry was posted in Apr, Get Involved / Have Your Say, Greetland & Stainland, May and tagged calderdale, Get Involved, Greetland, Greetland Academy, Latin American Dancing, Training, Ukulele. This entry was posted in Apr, Brighouse, Elland, Get Involved / Have Your Say, Greetland & Stainland, Hipperholme & Lightcliffe, Mar, Rastrick and tagged Calderdale Council, Easter Holidays, Elland, Greetland, Hipperholme, Rastrick, Stainland, Waste and Recycling.